Dosage 180g per 100 cubic metres (6oz per 10,000 gallons). This granular form is 55% available chlorine (Sodium Dichloroisocyanurate-Dihydrate) and is ideal for daily application. 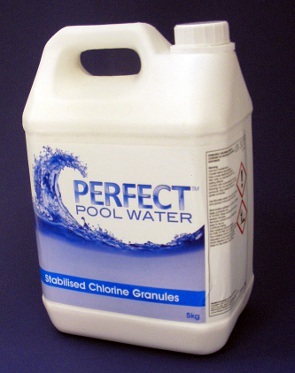 The granules are virtually pH neutral and therefore will have little or no effect on the pools pH. The stabilised part of the name refers to the fact it has 'UV stabilisers' added; these significantly reduce the amount of chlorine 'burnt off' by daylight & ensure you get much longer lasting protection compared to lesser products. Delivery: Free with an order over £50.00 otherwise £5.99.